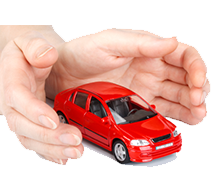 An Auto Insurance policy is comprised of six different kinds of coverage. Most states require you to but some, but not all, of these coverages. If you’re financing a car, your lender may also have requirements. Most auto policies are for six months or a year. Your insurance company should notify you by mail when it’s time to renew the policy and to pay your premium.